For women with a history of immunologically-induced habitual abortion, only a few therapies are currently available which are also known to be associated with a limited rate of success and substantial side effects. The goal of this investigation was to evaluate the benefits of a systemic enzyme therapy in pregnant women with a history of habitual abortion based upon the course of pregnancy and delivery, and also including the “fetal outcome’. 144 pregnant women with immunologically-induced abortion received a gestagen preparation and an enzyme combination preparation, and were observed until the time of delivery. The standard data concerning pregnancy, birth and the child were collected and evaluated. 114 of the 144 erizyme-treated women demonstrated an inconspicuous course of pregnancy up to the birth of their 114 healthy children (79% success rate). The enzyme therapy was seen to cause no unpleasant side effects. For immunologically-induced habitual abortion, enzyme therapy is seen to be an effective form of immune therapy. The maternal immune system is stabilized by the enzymes administered, thereby affording relief during the full-term development of a pregnancy. The further clarification of the molecular mechanisms of action of these agents is the subject of current research projects. Enzyme therapy can primarily be recommended for women who have suffered several abortions, in spite of the fact that they had received the common forms of immune therapy, and who are consequently looking for a therapeutic alternative. According to experiences made to date, enzyme therapy is considered to be very successtul for women with a history of habitual abortion and can be reflected in their completed pregnancies. Furthermore, it is tolerated well and also seen to be quite economical. There were 144 women treated using the systemic enzyme blend Wobenzym N. Of these 144, 114 were able to carry out their pregnancies and gave birth to healthy babies. This is a 79% success rate with no unpleasant side-effects. Given the alternative options and costs to medically treat immunologically-induced miscarriages (around $12,000 +), enzyme therapy is very promising and affordable option. I have included a link above to the study in its entirety so you can show it to your doctor/health care provider. Click here to learn more about natural therapies and recurrent miscarriages. I am so sorry for what you’ve been through! 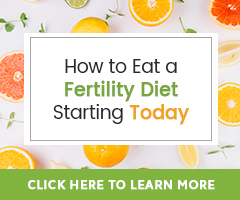 Timing of ovulation and learning the signs is going to be key so that you can try to identify when you ovulate from the ovary on the side with the healthy fallopian tube. Charting basal body temperature is best. As we’re on the systemic enzyme article, they are great to learn about as are the 5 Steps To Decreasing the Chance of Recurrent Miscarriages. I hope there are helpful tips that resonate with you and feel doable! I took Wobenzym N in my last IVF cycle (6 per day) for this purpose, I think it may have helped a little with inflammation, but I still miscarried at 6 1/2 weeks. Might need to include a stronger therapy like Intralipids with the next one…I am seeing an Ayurvedic practitioner and he has me off all gluten, dairy, soy and nuts. I am hoping this works to lower my cytokines so I can avoid IVIG treatments. Thanks for the article! There seems to be no mention of dosage used for Wobenzym N or Phlogenzyme in your article here or through the body of the published study. Do you know where this can be found? Or have any idea of the dose used to treat these subjects? Thank you. Learn more about Systemic Enzyme Therapy using Wobenzym N here… including how it is known to benefit fertility health and general dosage guidelines. I have a possible autoimmune implantation issue. Can I combine systemic enzymes with intralipid therapy? Would this be safe? Another consideration: Asherman’s syndrome is caused by damage to the uterus that causes the formation of adhesions (scar tissue). This may cause miscarriage or make it impossible/difficult for the embryo to attach to the uterine wall and develop. The number one cause of Asherman’s syndrome is D&C (diallation and cutterage) procedure. 90% of Asherman’s cases are due to pregnancy related D&C. Women who have had a D&C have a 25% risk of developing Asherman’s 2-4 weeks post-procedure. D&C performed for missed miscarriage have a 30.9% chance of developing Asherman’s, where as women who have had a D&C due to an incomplete miscarriage only have a 6.4% chance of developing Asherman’s. Women who have had more than 2 D&C’s have an increased chance of developing Asherman’s by 32%.